me again, I did some research (if two pages of google counts as research) and the password = 'UPLOAD BY AINUR' (sans quotes). hope someone benefits. 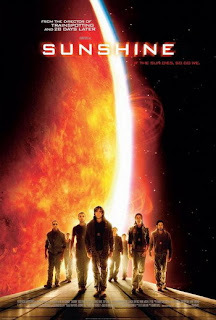 Apparently you shouldn't make assumptions, Sunshine's an American film and this blog is in English but when I assumed the film would be in English I assumed wrong. Thanks for the warning.